This elegant and modern white Viva Scandinavia teapot with a touch of turquoise. Includes removable tea infuser. "Tea 4 U" teapot by QDO with an infuser and a black handle. 1 litre capacity. With two 21cl double wall Wood design glasses. 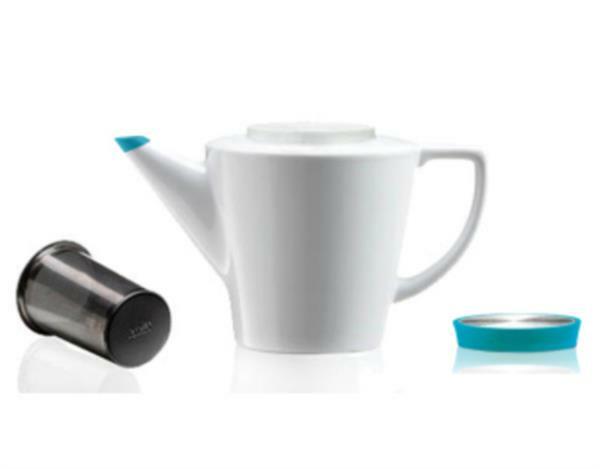 Discover this Melitta glass teapot with integrated infuser. 875ml capacity (around 8 cups). Dishwasher-safe.